1) Themes: a) Road, b) Bridge. 2) Participants take part in the competition with an original cartoon. Cartoons participated in any other contests are accepted, too. Cartoons must be signed by the cartoonist in case they are submitted as computer printouts. Photographs, photocopies, etc., will not be accepted. A CD containing digital cartoons should also be sent with the format of TIFF and 300 DPI. 4) The Organization will not be responsible for damage that may occur during postage and handling. 5) Competition is open to professional and amateur cartoonists from all over the world. 6) Participants are expected to send a short curriculum vitae with photograph together with their cartoons. Otherwise applications will not be considered. 7) Award-winning cartoons will not be returned to the artists. 8) By participating in the contest, the participant declares and accepts in advance that (S)he has turned over the financial rights (S)he holds over the cartoon or cartoons vis-a-vis the public to the Iran Retrofitting National Center (INRC) without limitations on location, time period and number including assignment to third parties under Articles 21-25 of the Law on Intellectual Property Rights for publication. (S)he agrees that the Iran Retrofitting National Organization may use such cartoons, exhibit them, keep them in its archives and publish them on the Internet or through other media. 9) Deadline for entries: September 22, 2010. Awards of Success: 10 success awards will be granted. Special Prize of Arman Pazhuhan Engineering Company. C2, Iran Building, 17 Shahrivar, Tabriz, IRAN. The theme is intended to evoke the date of the first aircraft experience, and its impact on today aviation. History is full of dramatic and hilarious moments with airplanes and flying machines. The politics is also played in the air, when dropping bombs and gases that destroy the planet. Supersonic aircraft and nut shells; delta wings and rusty machines, storms and dramas, controls and leaks; business and deviations; air attacks and flights of solidarity, fun and plunder, fears and prayers, love and humour. There is a bit of everything in aviation. No one can be indifferent to it. 300 years ago, Bartolomeu de Gusmão invented an airship, commonly known as “passarola.” As per the History, this was the first “tool to walk through the air” and was presented in Lisbon in August 1709, by the inventor. Bartolomeu de Gusmão, was born in Santos, S. Paulo (Brazil), and protected by the Portuguese royal house, was a member of the “Companhia de Jesus” and professor of mathematics at the University of Coimbra and has several inventions. Between 1709 and today, there are 300 years of stories that the pencil of the cartoonists can not turn away from. The subject is too fertile. 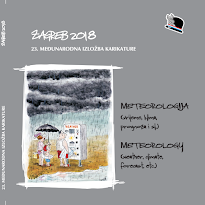 In addition to participating with cartoons on the main theme, the cartoonists can also send works for the Free Category, as per the previous editions. The artists who do not wish to compete can send their works to the EXTRA-COMPETITION section informing of this decision. Works must be originals and any kind of graphical technique will be accepted, including digital artwork if the prints are SIGNED and if they are PRINT NUMBER ONE; can also be presented sculptures pieces of humour, in any kind of material. - sculpture pieces, 42 x 30 x 30 cm. The works should present on the reverse the following information: author´s name and address, title, theme section and year. The author’s CV in Portuguese or English (publications, exhibitions,prizes…) should also be sent. The works should arrive at the PORTUGUESE PRINTING PRESS MUSEUM until February 28th 2010, with the entry form . PortoCartoon-World Festival, The Portuguese Printing Press Museum, Estrada Nacional 108, nº 206, 4 3 00-3 16 Porto, Portugal. HONORABLE MENTIONS PORTOCARTOON: 50 Euro, stay costs for a weekend in Portugal. The Jury will have an odd number of judges and their decision will be with no subjection to any kind of appeal or reclamation. PRESIDENT OF THE 12TH PORTOCARTOON´S JUDGING PANEL: Georges Wolinski. The awarded works will become property of the PORTUGUESE PRINTING PRESS MUSEUM and will be part of the INTERNATIONAL CARTOON GALLERY. The others will be sent to the artists, if formally requested, after its public exhibition during the PORTOCARTOON and possible exhibition in other cities and countries. In case of using non-awarded works in other cases except exhibition or its promotion PORTOCARTOON, copyright payment will be made to the artists whenever it takes place. All the artists whose works are selected for the exhibition will receive a catalogue. The prizes will be delivered in a public ceremony. Aphorism: In this category each author can participate with maximum of 10 aphorisms, printed in three copies, completed with code and particulars about the author, and set in sealed envelope. Caricature: In this category, the authors can participate and send 3 caricatures, maximum. The technique is on their own choice, and maximal dimensions A/4. The works will be accepted up to: January 11, 2010, at latest. Three main prizes. The Organizer has the right to reward some additional prizes. The works received, are property of the Organizer and the author, and they have the right to its public presentation, catalogue prepare or other publication. 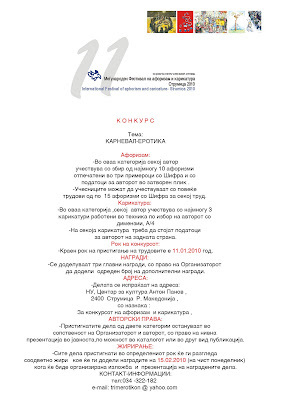 The presentation of the works – exhibition and the reward ceremony will come to: February 15, 2010. PRIZES: In kind, above all, of a liquid kind, complementary money prizes, special invitations and awards. Special mentions: diplomas. - All artists whose work is selected for inclusion in the exhibition will receive a free copy of the biennale catalogue. PARTICIPANTS: Artists from all countries, all ages and both sexes. Number of cartoons: maximum 3. - NEW Format only A4 (210x297 mm). - digital artwork: yes (printed by the artist and send by postal service). This works are accepted if signed and numbered by the author. - The family name, first name, (pseudonym) and address of the artist should be written in CAPITAL LETTERS on the back of each piece of work. - A short biography, photo or self-portrait may also be included. RETURN OF ORIGINAL WORKS: Should participants require their work to be returned after the event (about the end of 2010), this must be indicated on the entry-form. The awarded works will become the property of the organizers. The list of the participants will be published on the web-site. The exhibition will travel to other French towns. DONATION: We are constituting a permanent collection for the promotion of our biennale. If you accept to give your works please write it in the entry-form. EXHIBITION: From 26th to 11th July 2010. Venue - Cloître des Carmes, Jonzac, Charente Maritime, France. Saturday 26 June - inauguration - announcement of winners, presentation of prizes. ARTIST’S RIGHTS: The organisers reserve the right to use artist work for the promotion of the artist and the "Humour & Vine" event without financial reward. All other rights remain property of the artist. 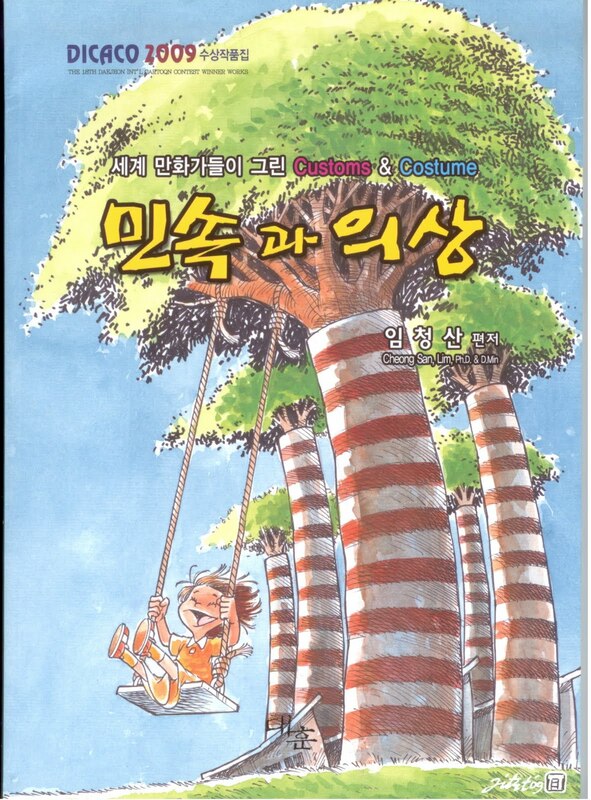 Yesterday received the new catalog DICACO 2009 from Daejeon, Korea. It was posted on 01.09.2009 according to the postmark, so it took about 80 days to arrive in Turkey by surface mail. A few cartoonist friends in Istanbul say they also have received the book. 29.8x21 cm in size, it has 96 color pages. DICACO catalog is important because it almost summarizes a year's time in the cartoon world esp with the free theme works. This year 587 artists from 68 nations sent in 1,765 works and 375 artists are prized while some prize-winners have more than one cartoon published in the catalog. So we can say that about 400 cartoons are compiled in the book which makes it a great collection of the year in the field of cartooning. The aim is, as Mr Cheong San Lim, president and the editor, puts it in the foreword, to unearth creativity and original talent, and to upbring sound culture for youngers. This year they also "set up the most cyber cartoon gallery of Kongju Nat'l Univ and cartoon streets of West Daejeon and Jeondong station". From Turkey 20 cartoonists are prized, half the number of entrants from the country. Best Cartoon Prize: Menekse Cam, Mete Agaoglu, Musa Gumus, Askin Ayrancioglu, Mehmet Kahraman, Yilmaz Muslu, Kemal Ozyurt, Musa Keklik, Ahmet Aykanat, Nuri Bilgin, Muhittin Koroglu, Erdogan Basol, Mehmet Arslan. Honorable Mention: Ahmet Umit Akkoca, I. Serdar Sayar, Seyit Saatci, Sema Undeger, Kenan Bogurcu, Mumin Bayram, Umit Mufit Dincay. 1- Each author can send at maximum 2 original work. 2- The formats of the works should not exceed the A-4. 3- Each work should be signed on the reverse and bear the author's full address. 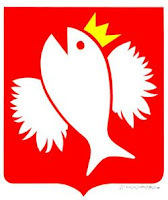 4- Theme: "Fish, fishermen, fishing, anglers"
2nd x2 prize of 1.500 PLN. 6- The works must arrive by 30 September 2010 ! 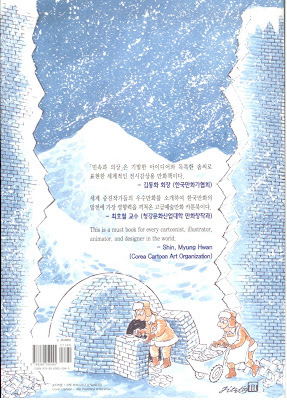 7- After the exposition, illustrations become the property of organizer and may be used for promotion purposes. 8- The winners as well as cartoonists qualified to participate in the post-competition exhibition shall be provided with a free copy of a catalogue published by organizers. Themes: Money Makes the World Go Round - globalisation, financial meltdown, fair-trade and economic justice. The competition is open to cartoonists from all nations. A first prize of £700, a second prize of £500 and a third prize of £300 as well as an "emerging artist's prize" of £150 (for 16-22 year-olds) will be awarded for cartoons which, in the opinion of the judges, best express the above theme. The judges' decision will be final. The jury, made up of leading cartoonists and well-known personalities, will be looking for clarity of message, cartooning skill and satirical humour. In the first instance, the cartoon may be submitted in any form (originals, faxes, photocopies or electronically in at least 300 dpi resolution), although an original would be preferred. Those artists whose cartoons are shortlisted for exhibition and a prize will be notified by the organisers, after which they must submit the original. Cartoons with text and/or captions not in English should (if possible) be accompanied by a translation. It would also be useful to have some idea of the situation being addressed by the cartoon if it refers to a specific social or political event/situation which may not be universally understood. Each entry must be signed by the artist and accompanied by an address and contact details. Entries to reach the organisers by May 1st 2010. The results of the competition will be announced on June 1st 2010. An exhibition of the best of the submissions will be organised in London and at the Appledore Visual Arts Festival and the prize-winning cartoons will be published in the Morning Star newspaper and other interested journals. Unless the submitting cartoonist stipulates otherwise, the original cartoons and/or prints of the cartoons, after publication/exhibition, will be offered for sale. Any proceeds, less a small commission and transfer fees, will be paid to the originating artist. The organisers retain the right to publish or exhibit any of the cartoons submitted, but undertake to give due credit to the artists and ensure they receive any royalties/payments that may accrue as a result. The first ten cartoons will be displayed on our website at: http://www.kenspraguefund.org/ for a period of 12 months and later will become part of the page's competition archive, accessible to visitors. Artists submitting cartoons will automatically agree to abide by the above rules. Sponsored by the Ken Sprague Fund together with the Appledore Visual Arts Festival and the Morning Star. Address to send submissions: Ken Sprague Fund Cartoon Competition, 11 Dorset Road, Ealing, London W5 4HU, United Kingdom. Sources: tabrizcartoons ; syriacartoon ; fecocartoon . 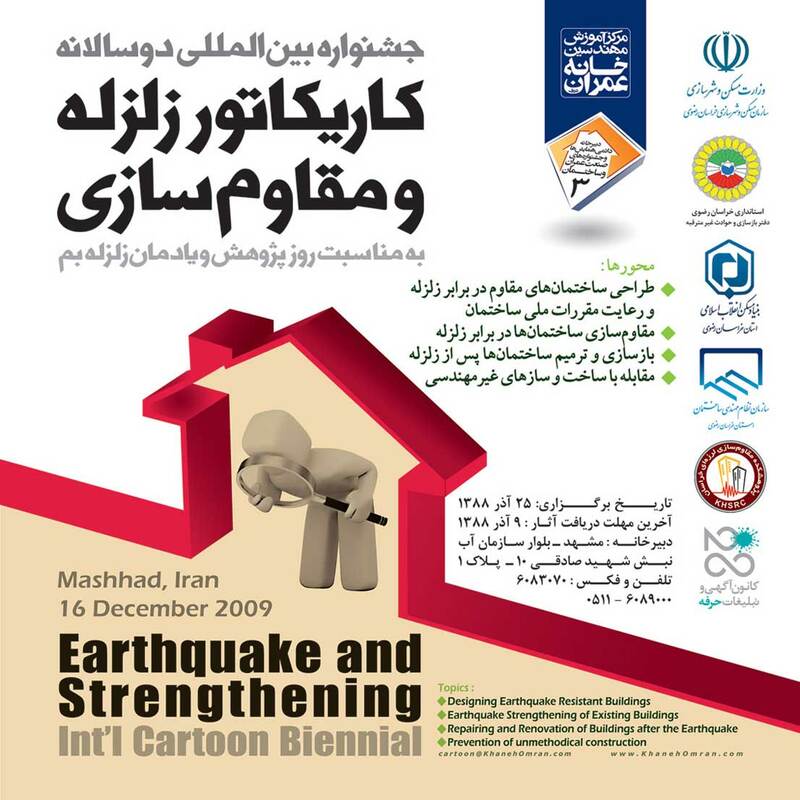 Khaneh Omran Engineering Educational Institute proudly announces the International Cartoon Biennial of Earthquake and Strengthening to be held in Mashhad, Iran on December 12-16, 2009, a memorial to Bam Earthquake Disaster. 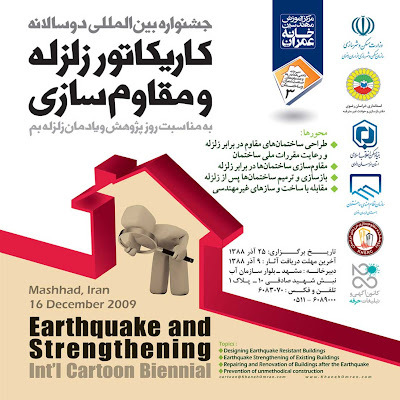 The Cartoon Biennial will carry on the successful tradition of the previous seminars held at Khaneh Omran Institute. The aim of this biennial is to promote the culture of earthquake strengthening of constructions and to initiate a move toward public educational programs. Hence, the International Cartoon Biennial organizing committee invites cartoonists from all over the world to participate in this contest. 2- The Cartoon Biennial will be run in two professional and student sections. The professional works will be judged in the main section and the student works in peripheral section. 3- A maximum of 5 works can be submitted by the participating cartoonists. 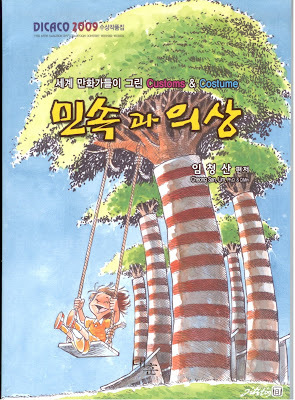 4- The works should have been awarded in no other previous cartoon contests or festivals. 5- It is essential for the participants to send their personal information (including first name, last name, postal address, phone number, e-mail, photo, a short biography) with their work(s). 6- All the cartoonists whom their cartoons are displayed in the exhibition will receive a free copy of biennial catalogue. 7- The digital file of the artwork should be in JPG format, in 1200 pixel size (length or width) and with 150 dpi resolution. 9- The choice of technique is free. 10- The organizers hold all the rights to publish the cartoons submitted to the contest and use them in any form. The jury panel of the Cartoon Biennial will also award 7 selected artists with Honorable Mentions. In the Peripheral (student) Section, the jury panel will award 3 selected artists with Trophy and Honorable Mentions. 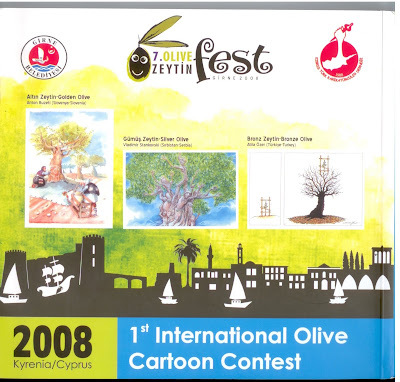 Today received from Cyprus the colossal catalog of the 1st International Olive Cartoon Contest organised in Kyrenia in 2008: 20x21.5x2 cm in dimensions and 208 pages fully in color. 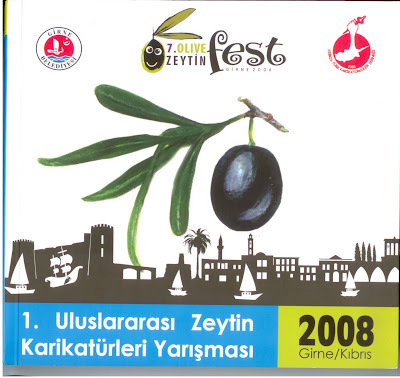 As Sümer Aygın, the Mayor of Kyrenia Municipality, points out in his introductory words, the cartoon competition is part of the Olive Fest organised annually since 2002 involving musical and theatrical performances, folk dancing, art/sculpture exhibitions as well. 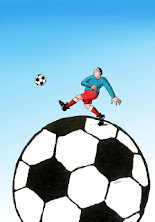 204 artists from 42 countries sent in 372 cartoons to compete in the first international contest in 2008. The olive-themed international cartoon competition organized jointly with the Cyprus Turkish Cartoon Association is now transformed into a traditional event and is very well recorded in this catalog with the short bios and declarations of the jury members and prize-winners in both Turkish and English languages, snapshots of the jury meeting and some touristic scenes from the historical town along with the winning and the many selected cartoons. Read the jury report and see prize-winning cartoons in 2008 at http://caricaturque.blogspot.com/2008/10/final-and-definite-result-of-1st.html and in 2009 at http://caricaturque.blogspot.com/2009/07/winners-in-2nd-international-olive.html . Entries: max. 3 works. The works must be original, without titles and accompanied by author's entry-form and biography. Prizes: "Scacchiera International Grand Prize" for each section. Catalogue: each participating artist will receive a copy (by enclosing 7,00 €uro for the postage charges). Remark: the works will not be returned and will be included in the "Umoristi a Marostica Museum"
Sample of entry-form for lack of original one. Unlimited original works. Digital prints signed by the author, will also be accepted, preferably accompanied with a CD (jpg, 300 dpi). Format: Max A3, but format A4 is recommended. ULUPUDS (The Golden Smile) Terazije 26/II, 11000 Beograd, Serbia. Please write DOCUMENT, NO VALUE on the envelope. 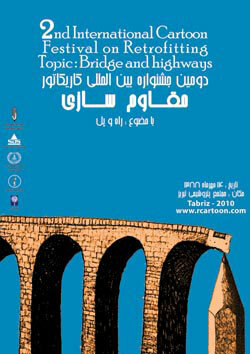 Under auspices of Syrian Ministry of Information, Syria Cartoon website invites you to participate in 6th International cartoon contest (SYRIA 2010). 1 - Each cartoonist can submit a max of (3) original works (black & white or colored). Works made by computer will be accepted. 5 - (NOTE: entry-form is not necessary). 6 - The works will be displayed at Syria Cartoon website: http://www.syriacartoon.com/ or may be used for promotional purposes; cards, posters, newspapers, catalogs, books, websites, etc. Participants are considered to have accepted all the conditions and are aware that their submitted works may be reprinted and used without permission. 7 - All entry works must not be submitted as neither folded nor rolling form. 8 - The works will not be returned. 9 - All the cartoonists whose works will be selected for the exhibition will receive a catalogue & certificate. 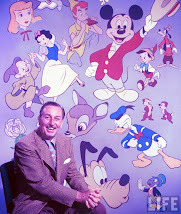 10 - The jury will not reward the cartoons submitted to other festivals. The prize winners will be informed by mail. And the results will be declared on (March 2010). Special prize (for 5 cartoonists). 14 - By submitting the works, the author accepts the rules and regulations of the Contest and the decisions of the Jury. 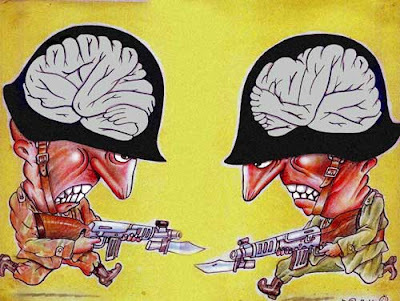 All works should be sent to: 6th International cartoon contest (SYRIA 2009) - DAMASCUS – P.O.BOX: 6540 SYRIA . ATTENTION: Cartoons sent by e-mail will only be published at the exhibition and will NOT enter the competition. Only original cartoons (sent by regular post mail) will enter the competition. "The processes of Transitional Justice in Spain, Algeria and Morocco"
Special Award: NAJI BENAJI, Marrocco.